5 - Momentum "Keep Moving"
This is the final sermon in our series titled "Momentum." 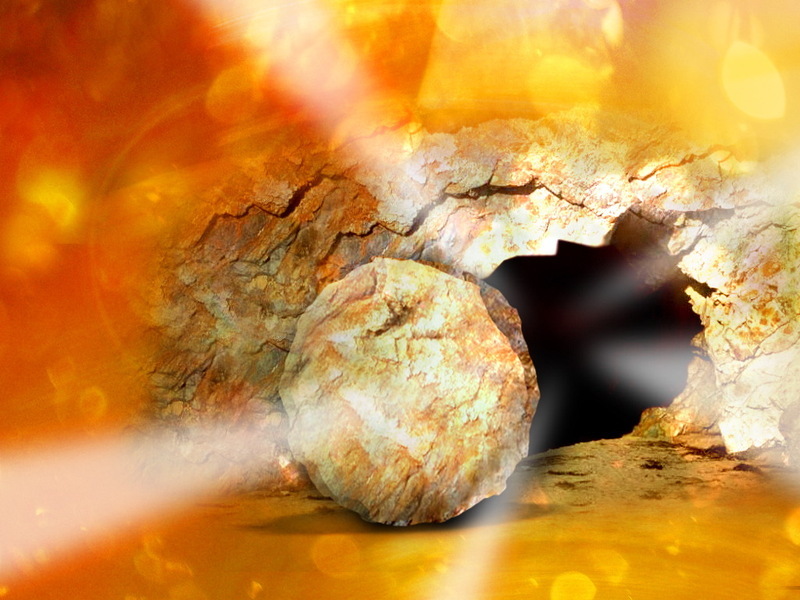 Where it seemed Easter was the culmination or end of the story, in truth, it was just the beginning. Do you fill out an NCAA Tournament bracket? I do every year and each year I'm reminded that it's a good thing I'm not a gambler. I'd lose my shirt. I even pick some upsets, but it seems that I always miss them. I guess picking a 9 seed over an 8 seed is not that much of a risk. In our family, we have each picked a bracket. We use Yahoo! Fantasy Sports so we don't have to keep up with the score. With the Sweet 16 tonight, I have a chance of moving up in th standings, but I'm resigned to the fact that I just won't win this family tournament pool. As of today, my wife Tracy is leading the picks with 36 of 48 correct. My son Daniel is second with 35. He would be in the lead had he not picked Arkansas to win the whole thing. What a "homer." I'm third with 33 and my daughter Ashley is in last with 28. However, she keeps reminding us that she doesn't know or care about the men's tournament and that the women's tournament is the only one that matters. We picked that bracket as well and all of us have Tennessee repeating as National Champs. I guess we're all "homers." It's fun, but that desire to win is still there so I hope I don't end up in last place. Christ's momentum was building to a key event - the cross. More important than the cross, though is the resurrection. This Easter service reminds us that Jesus is LIFE and His life makes it possible for us to have life. Today there are so many conflicting messages coming at us. Everyone is selling something or offering the "secret" to happiness. Everyone has a message. Churches are no different. With a different flavor of church on every corner and block, it can become confusing. I'm sure you've seen the results of the latest poll stating that many people are leaving the "faith of their fathers" and joining churches of different denominations than their parents. With this fact, it can even become confusing within a church as to the message. As pastor, it is my calling to ensure that the message never gets lost in the shuffle. The Bible speaks of the role of pastor as an "overseer." The qualifications are listed in 1 Timothy 3:1-6. This is a listing of they type of man who God calls to the position. The job description is shown throughout the New Testament. The word "shepherd" comes across often. I've been thinking much about the heaviness of this calling recently and the fact that God had set in motion many things to bring me to this place to gain the honorable title of "pastor." The fact that God called me to be the pastor of this body, and not its chaplain has been resonating in my heart and mind. As pastor, I have the heavy responsibility of preparing and presenting sermons that are true to the heart of God. Paul reminded Pastor Timothy of this in 2 Timothy 2:15 "Do your best to present yourself to God as one approved, a workman who does not need to be ashamed and who correctly handles the word of truth." As I prepare, pray through and present the Word each weekend, I fully understand the responsibility God has placed on my shoulders. This message must get out. Lives are hanging in the balance. So, what is our message? Life is what God is offering. . .real, true life. Jesus said it best in John 10:10 "The thief comes only to steal and kill and destroy; I have come that they may have life, and have it to the full. " "Full, abudant life" has been offered. This is no "name it and claim it" false "Word-faith theology." This is Christ offering eternal, authentic, life. Everything we do here at First Baptist. Everything we say. Every ministry. Every meeting. They all revolve around this message - Life is available! This Sunday I pray that you'll be here and that you'll bring someone with you that needs this message. This is why we're here. LIFE. That's what the resurrection is all about. Christ lives. . .and we can too. Here's a little history about the most famous Christian song of all time - Amazing Grace. Worth a watch. Many were welcoming Jesus into the Holy City Jerusalem, but when it came time to take the tickets, many weren't really with him. Are you? When I heard the makers of "Facing the Giants" were creating a new film, I feared it would be a step down from the success of their previous film. I don't know, I guess I figured that the phenomena that occurred with the football film couldn't be replicated or that maybe they would do the same film, just change the backdrop. You know, instead of football, it's now basketball or some other sport. Well, the folks at Sherwood Baptist have not stepped back. In fact, it looks like this new film will be better all the way around than the Giants film. It stars Kirk Cameron. I was never a fan of the "Left Behind" films with Kirk, but believe his heart is in the right place regarding sharing the truth of Christ. I think this is a better fit for him anyway. I think the message has to be out there. There is hope for the troubled marriage. Below is the teaser trailer for the film. Take a look. The train is leaving the station. Oh yeah, you cannot take your luggage with you. "All Aboard!" It's Daylight Savings Time time again. Don't forget to move your clocks forward before you go to bed tonight. Don't want you to be late for church tomorrow. Tonight at a special dinner beginning at 6pm, our Student Ministry will host it's annual DiscipleNow Weekend. I remember planning these events when I was a student pastor. Each year this weekend would be remembered as a landmark event in the lives of students. A DiscipleNow is basically a retreat where students stay in area homes. It's like going to youth camp without leaving town. So, throughout our community in area homes this weekend our students will be studying the Word together, playing games and getting to know each other. We bring in college students from around the state to lead them and I am sure that God is preparing great things for all involved. This Sunday I'll be preaching in a D-Now T-shirt. Any excuse to not wear a tie. We also have a special praise band leading us in worship Sunday morning. For those of you who "fear we're going too contemporary (whatever that means)" don't worry. This is a special event weekend and themed around our student ministry. Please pray for these students. I believe God is going to do a great work in and through them this weekend. If you have a teenager who isn't sure if they want to go, let me tell you that from my experience and history in student ministry, you should sign them up and make them go. Yep. Even if they don't want to. It's that important. You can still register them. Just go to the student ministry page at www.opfirst.org. It's worth it.